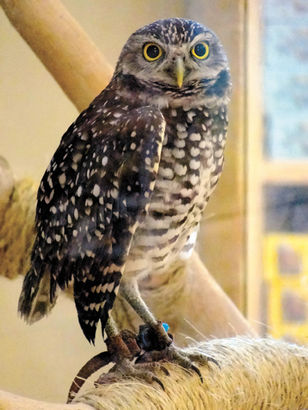 Guests to CROW’s Visitor Education Center will soon be able to meet their newest animal ambassador, an injured burrowing owl that has been deemed unreleasable to the wild. CROW Education Coordinator Rachel Rainbolt said the burrowing owl, from Cape Coral, was admitted to CROW’s hospital on June 19 with a broken wing. Spooky creatures hover high and low and it’s getting corny all over! 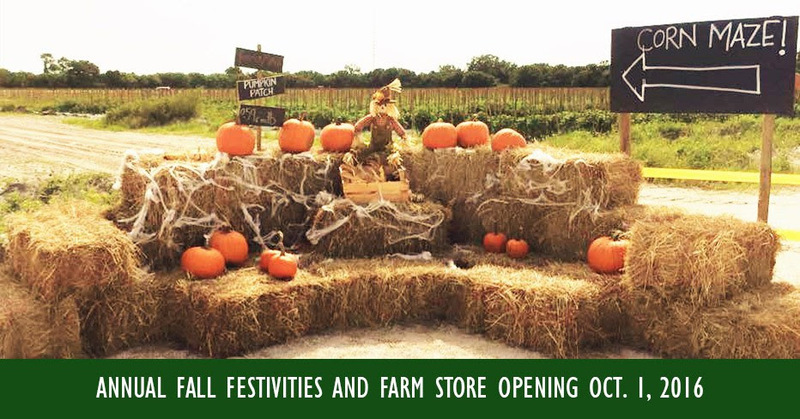 Treat yourself with a Halloween field trip to Farmer Mike’s Haunted Corn Maze, open to all tricksters through October 31. 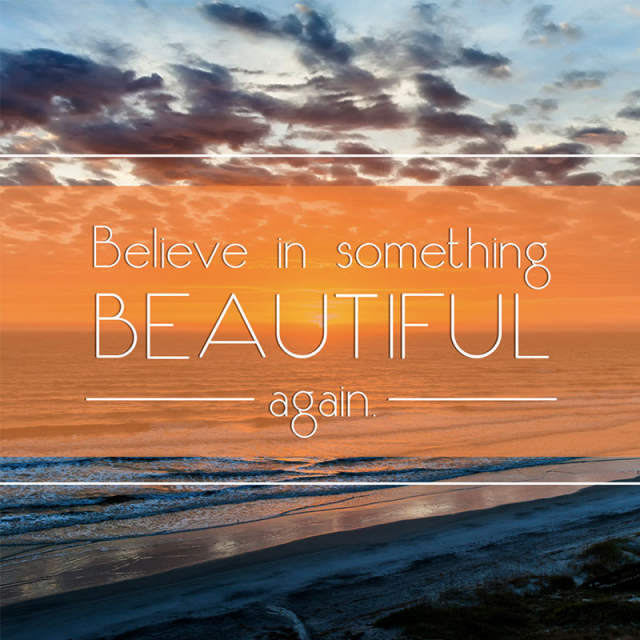 It’s an a-mazing experience! 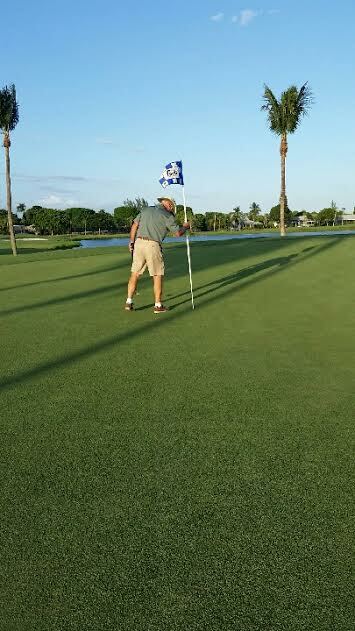 Have it your way because there are many ways to play at The Dunes Golf & Tennis Club. 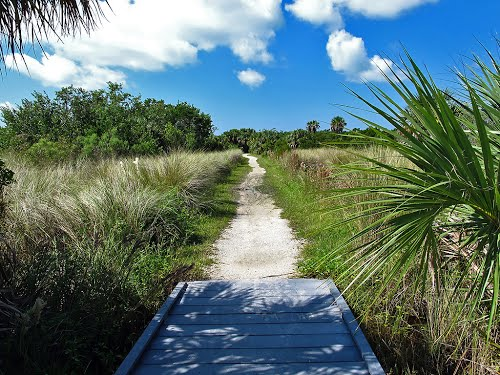 Spend an afternoon on the greens, on a court or at the indoor watering hole. Or enjoy an evening’s worth of entertainment “club-style”. 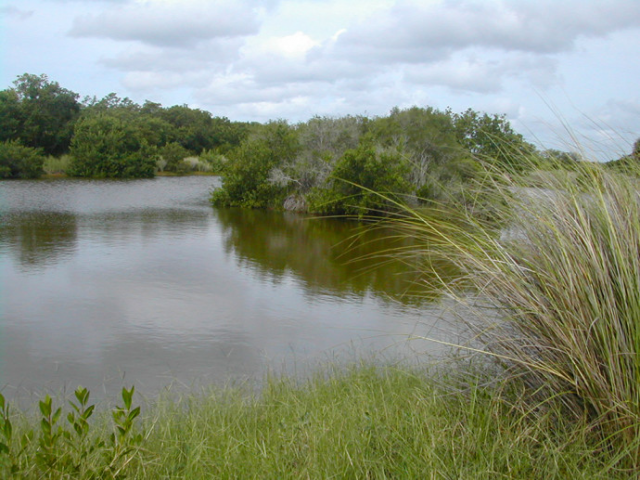 Non-members are always welcome! Arriving at the Dune’s 6th hole, Andy found some unexpected guidance for his next golf shot. 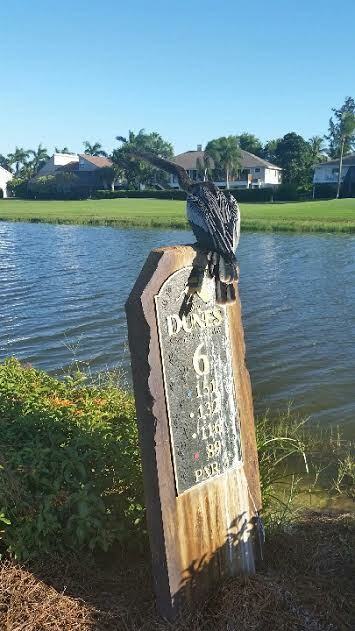 An anhinga was serendipitously awaiting him on the sign at The Dunes Golf & Tennis Club, providing the perfect direction for the aim of his next stroke. 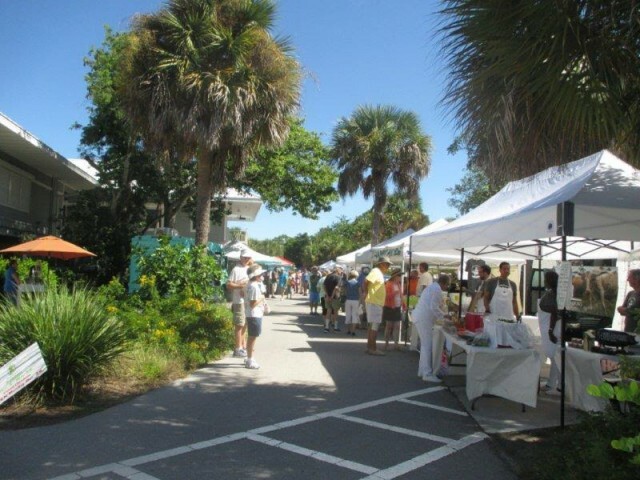 Every Sunday morning through May, join the Sanibel Farmers Market frenzy as hundreds of shoppers fill their baskets with farm fresh vegetables, fruits, cheeses, meats and prepared foods. 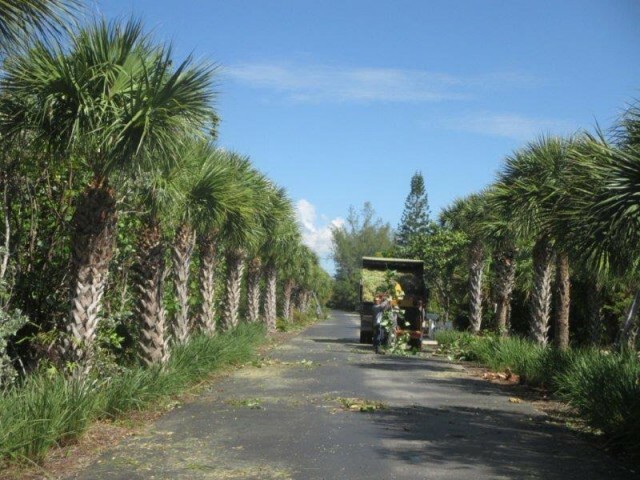 The trendy farm-to-table movement is alive and well on Sanibel. 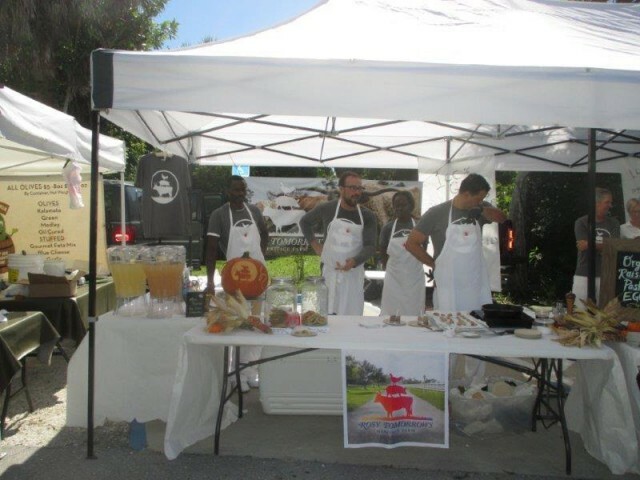 This year’s seasonal market brings even more new vendors to arouse your appetite for sensational food. 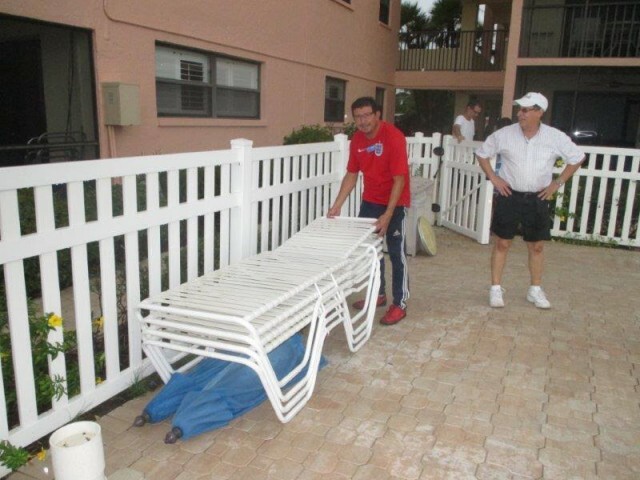 All hands were on deck as Adolfo, under the direction of Charlie, stacked and tied down the pool lounge chairs in preparation for Hurricane Matthew. 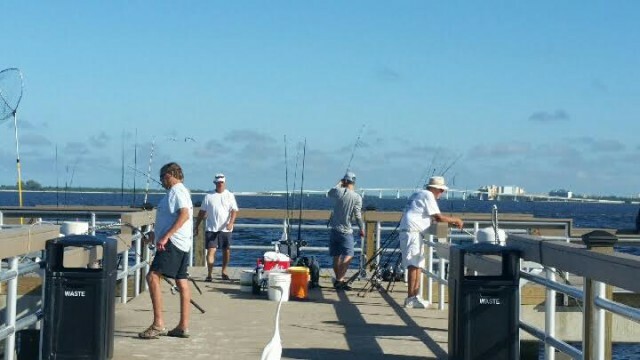 “Reel it in” at the newly remodeled Sanibel Fishing Pier located in Lighthouse Beach Park. 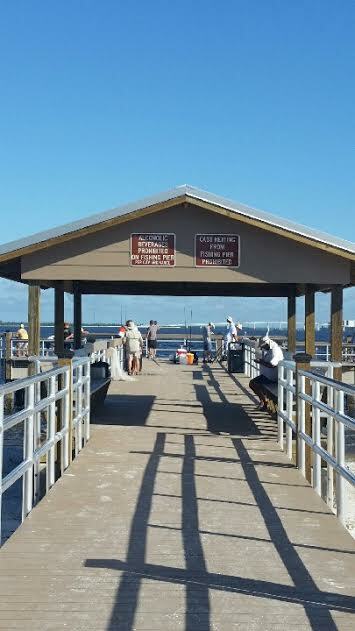 After a three month makeover, the city’s public fishing pier reopened September 30 to the delight of all anglers! 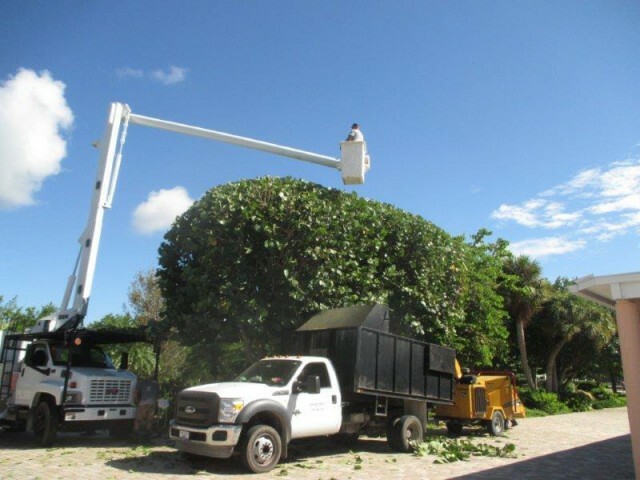 Renovations included replacing stringers, decking, shelter, fish cleaning stations, benches and railings. 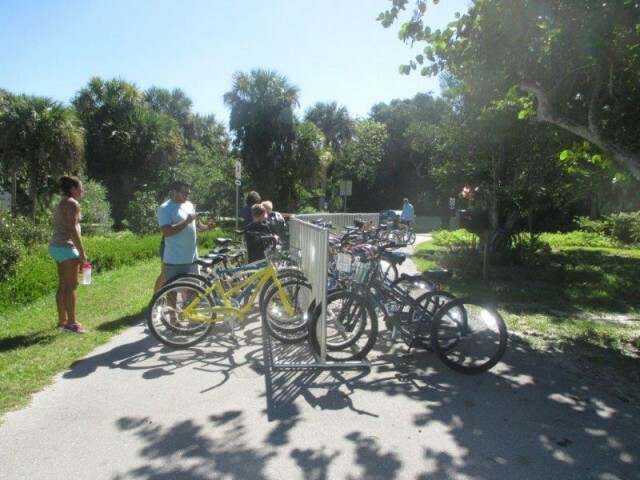 Handicap accessibility was improved along with the connecting boardwalk and bicycle parking facilities.